The Paveletsky Vokzal, where a railway partner restaurant chain has said it will soon develop a greater choice of restaurant options for passengers. Train stations across Russia, notorious for collecting grime and attracting the homeless, are set to get luxury-class restaurants, Russian Railways stations department head Sergei Abramov told Izvestia. "We are opening brand-name restaurants in railway stations, where you come not to wait for the departure or arrival of a train, but to spend free time," Abramov said. "These restaurants will present premium-class services," he added. Abramov clarified that the railway company will partner with chain restaurants to open locations not only in Moscow, but also at regional stations. One such partner company is Svezhy Veter, which won a tender last year to organize restaurant spaces at train stations around the country. 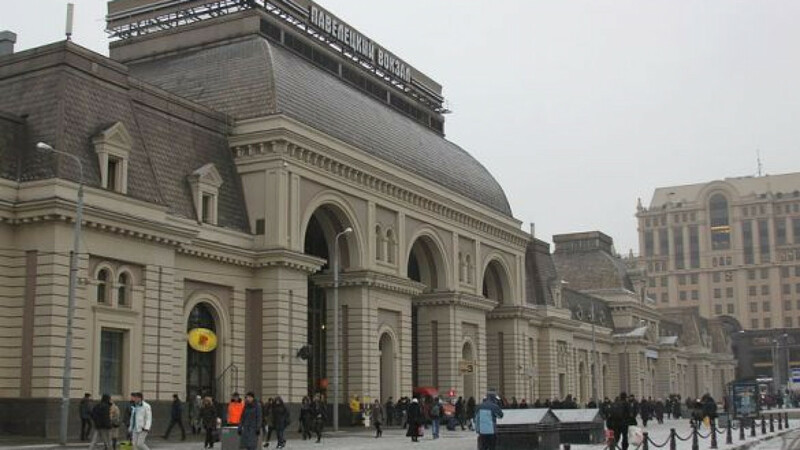 They have already opened a food court at Leningradsky Station and announced similar plans for Kievsky and Paveletsky stations. "The goal of the current project is to change the reputation of train stations," stations department communications head Dmitry Pisarenko said. "It is so that people cannot only use transportation services, but also get a cultural experience," he said. Pisarenko noted that in Soviet times local residents had a tradition of visiting restaurants at train stations and that in tsarist times concerts and other cultural events were held at the stations.